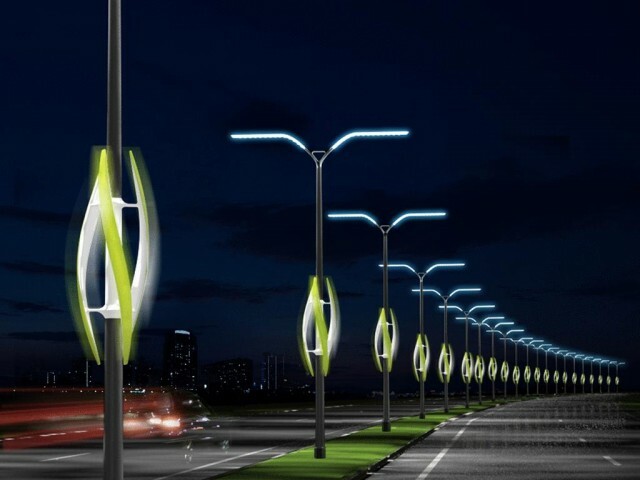 Could Passing Cars Power Wind-Turbine Highway Lights? 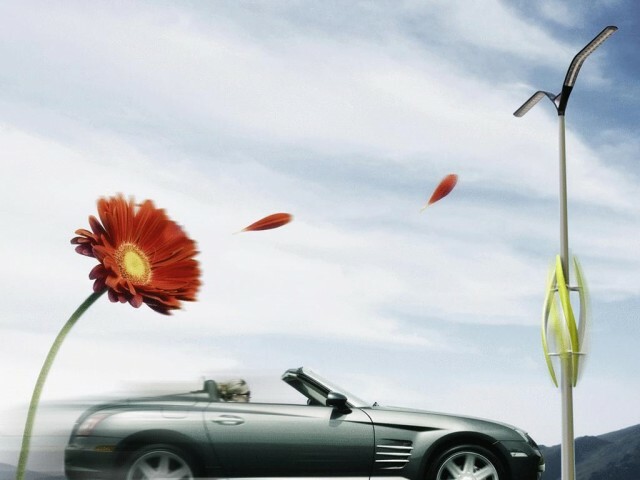 And now, for today's great green concept, we present: Overhead highway lights powered by wind turbines, which are spun by the air turbulence generated as cars and trucks whiz past at speed. Like many such concepts, this one's conceptually brilliant: Use all that wasted wind to do useful work, in this case generating electricity to power highway lights (and presumably feed back into the grid during daylight hours). The idea, from TAK Studio, is one of 18 finalists in a design competition that's part of the Greener Gadgets Conference, to be held February 25 in New York City. 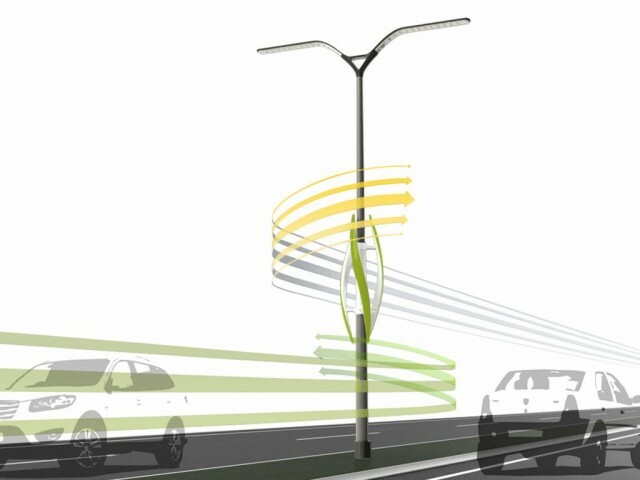 The public can vote on the finalists; at the moment, the wind-turbine highway lights are at the bottom of the pack, being hammered by tiny consumer electronic devices. We do see one concern, however: The turbines stick out enough from the poles that you'll either need a wide median or they'll have to be mounted high enough up that they're not vulnerable to passing traffic that veers onto the shoulder. Incidentally, looks to us like the cars in the drawings are very lightly adapted from a 2010 Subaru Tribeca crossover, a 2008 Chrysler Crossfire convertible, and the Europe-only Dacia Logan low-cost car from Renault. What do you think? A related idea is to install hundreds of small wind turbines inside the ubiquitous Jersey Barriers, those concrete lane separators shaped to guide cars that hit them back into their lane rather than up and over into oncoming traffic. Either way, we love the concept of recapturing wasted energy from burning gasoline to generate electricity.